← Spotted Crake with Didge music. Greeting me as I opened the access gate (4) at the Treatment Plant recently was a little Golden-headed Cisticola. It is a small bird of the marshy grasslands surrounding a wetlands area. It has several calls including a very distinctive call that can be mimicked with a bit of effort and strong lips. In my earlier files I found a small video of another Cisticola at another entry gate, perched on a barbed wire fence along the T-section of the Treatment Plant. Towards the end of the file the distinctive call can be heard. 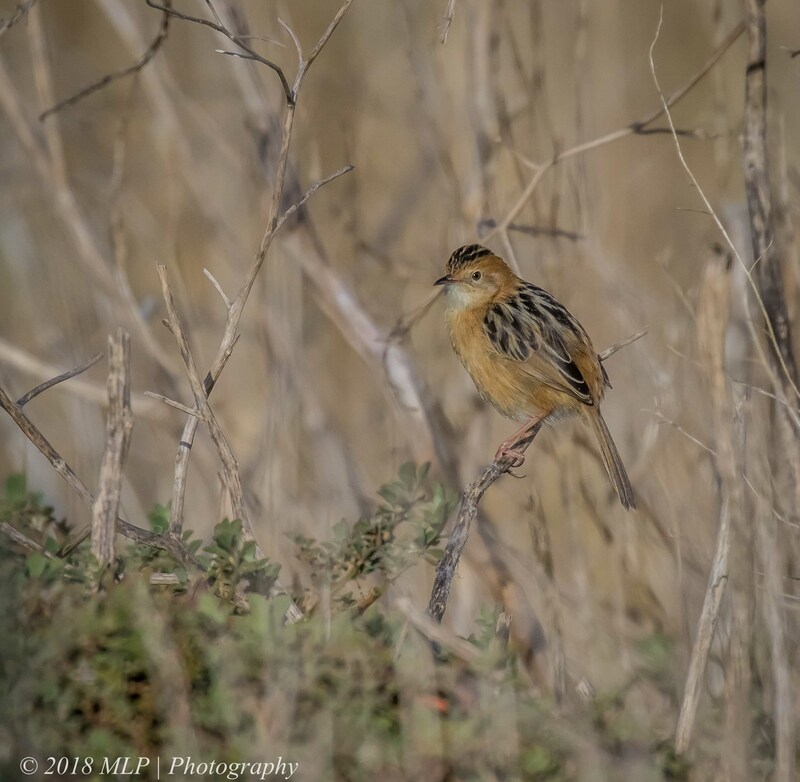 This entry was posted in Birds, Victoria and tagged Australia, Australian Birds, Bird Photography, Bird Video, Golden Headed Cisticola, Nature Photography, Photography, Victoria, Videography, Western Treatment Plant. Bookmark the permalink. Great footage Malt of the male Cisticola calling, your photo of the female is reminds me of the one I saw in my last post. I will have to visit there one day so I can get a tour through this treatment works, as they are becoming one of the birding places in Australia. Some councils are investing money in making them recreation centres and landscaping them and erecting picnic ground facilities, which is a great idea. Thanks Ashley, it is a great spot, a good variety of landscapes, and many species all year round in good numbers. Happy to take you around if get down this way.